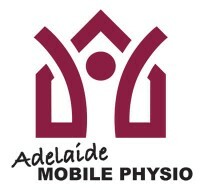 Adelaide Mobile Physiotherapy is a boutique physio clinic that specializes in Active Rehabilitation and injury prevention. We provide 60min initial consultations and extended subsequent visits. These sessions are comprised of an assessment, followed by the provision of clinically appropriate treatment and or individualised exercise programs to get you started on the road to recovery. Dr Adrian Bauze has been a specialist hip and knee surgeon since 2004 with extensive experience of over 5000 hip and knee procedures. He is also a former match day doctor for the Norwood Football Club. Based at Sportsmed Hospital and Orthopaedics in Adelaide he has appointments available at Stepney, St Agnes, Salisbury, Morphett Vale and in Darwin. For a casual buffet, a served menu of canapé finger foods or paella and tapas. Festive Catering can help take the stress out of planning birthday celebrations. Call us to discuss your menu options or visit our website to make an enquiry. 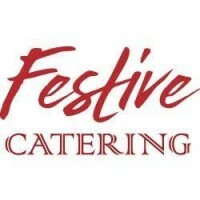 Festive Catering specialize in a wide variety of cuisines for any Private or Business Event and Occasion. Let us help you celebrate and make your event memorable and extra special for your family and friends. After 20 years experience in accounting and business, Brendan established a chartered accounting practice in 2010 with a warm, personalised, and trusted approach to the provision of holistic accounting and advisory services for small businesses, start up enterprises, and SMSF’s. Brendan also provides specialist business valuation services as an accredited valuation specialist with CAANZ. Community Offer: First Consult is free for all Ignatians. Digital Getup takes pride in helping businesses gain a better understanding of their online presence and capabilities. Having worked in the digital marketing industry for over a decade, we recognised the need for businesses in Adelaide and Regional SA to have access to these services from a local business. Some of the services we offer include: Website creation, Search Engine Optimisation (SEO), Pay Per Click Google Advertising (PPC), Facebook advertising, Google Display Ads, monthly meetings & reporting on results so you know exactly whats going on with your website & marketing. Green Burials International helps people make their last physical act one of positivity and regeneration. We offer a growing range of beautifully designed, eco-friendly burial and memorial products that help people mark the end of life in more personalised ways. We sell direct to the public as well as wholesaling to funeral directors and celebrants. Our larger vision includes the development of new products, and the development of natural burial sites / memorial forests. Madison Avenue is a leading source of strategic communications for ethical, home & lifestyle brands. We help passionate people in future thinking businesses create cost-effective campaigns and engage their customers more intimately. Our services include media planning, campaign implementation & reporting, creative production, and inbound marketing. Ultimately, we do whatever is necessary to help brands communicate better with their customers. Kitching Sports specialises in providing tailored advice to the international sports industry, with a particular focus on dispute resolution, regulatory matters, investigations and audits, business advice and strategy, education, and intermediary services. At Impact we work with key brands such as Disney, Marvel, DC Comics, The AFL and movie studios to produce licensed wall art, stationery and homewares. We manufacture product in China, India or Australia and ship directly to retailers in Australia and New Zealand - or through our own distribution channels to smaller retail chain stores and independent pop culture retailers. It's an exciting industry to be in, the brands and trends are always evolving and it's great seeing our product on shelves & walls all over Australia. Alice Mary Events is a boutique Wedding and Event Planning business. We provide our clients with an enjoyable, unique and stress-free wedding experience. VERSION IS A DESIGN, BRANDING & DIGITAL STUDIO. WE LOVE TO CREATE BRANDS AND EVOLVE BUSINESSES THROUGH OUR STRATEGICALLY CRAFTED CONCEPTS AND DESIGN THINKING. BEING BETTER THAN BEFORE IS OUR CONSTANT GOAL. We create contemporary brand identities, design solutions and digital experiences for a diverse range of brands, ranging from boutique start-ups to global businesses. Our designs create clarity and transform brands into powerful cross-cultural assets. This has lead us to work with discerning clients across a wide range of sectors and geographic locations. We currently work with organisations who continue to collaborate with us to deliver their creative and strategic ambitions. Community Offer: VERSION would like to offer a FREE Design or Website Consultation + 25% New Client Package Discount to any member of the Ignatian Community. Please call Michael on 0402 630 420 or visit www.versiondesign.com.au to find out more. Bank Reporting and Financial Certification. Our holistic approach allows us to see a project from all angles and at all stages, from inception to completion. This ensures that all options are brought to the attention of the project working group allowing best possible outcomes and value for money. We understand how important it is to comprehend all possible project outcomes on a complex development. Our consultants work through every stage, in partnership with the project team, to ensure that all solutions are considered and that each project is delivered optimally. We are committed to providing you with a service that is focused on delivering outstanding results and take pride in developing strong relationships with our clients and stakeholders ensuring we live by our tagline, partners for excellence. Established in 1979, Joggers World offers South Australia's largest range of athletic performance footwear plus in-store Video Gait Analysis. We can help advise on the best choice according to your specific/individual needs from the latest footwear ranges. We specialise in running shoes for all abilities plus we also hold a vast selection of cross training, walking, tennis/netball shoes, football/soccer and more. Anything suitable for activities such as running, jogging, trail, gym, court sports, fitness walking - we've got it! At Sportitude we help you get the most out of yourself and your sport with the best performance sports shoes, apparel and accessories. You'll find the latest and greatest authentic performance sports gear from all leading sports brands in running, netball, football, cross training and kids sport shoes. We will provide high school students the opportunity to search, understand & evaluate career options by viewing a network of real pathways taken by mentors. Students then become informed when making critical decisions about their subjects & futures. Community Offer: Until 31/12/17, we are donating to Save the Children for each person who subscribes via www.yourworkingworld.com.au and likes/follows one of our social media pages. More details avaiable on our facebook. Going forward, all subscribed mentors will have to the chance to win monthly incentives/giveaways. Turner Real Estate is one of the most successful and respected real estate sales and rental property management companies in Adelaide. Our honest and ethical approach to all elements of real estate has built a client base which spans right across the Adelaide metropolitan area. Turner Real Estate's sales and property management teams are highly experienced and respected for their knowledge and hard-working approach, which leaves clients feeling completely confident when buying, selling, investing or renting property. We aim to make selling or renting property in Adelaide as stress-free as possible whilst achieving the very best outcome, regardless of whether you're a seller, buyer, investor or tenant. We are a proudly South Australian owned and operated business with over 15 years of experience in expert massage services. We offer a completely mobile service; We come to you, 7 days. We specialise in creating massage programs to suit your needs. We have a professional team of fully qualified and accredited massage therapists. Our massage therapists have all been trained to nationally recognised standards and are members of accredited and reputable massage associations. We offer a free no obligation quote. Mister Minit Churchill Centre, Kilburn is the Franchise in Adelaide. My Team & I is highly Committed to fixing your problems with excellent in quality and customer service. Community Offer: Please visit our shop and you will get special discount of 15% on all Services. 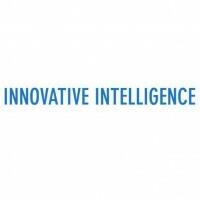 Innovative Intelligence was founded in 2015 to fill a particular market gap of quality, rapid expansion of data analytics. We can collect, analyse and visualise your data in a variety of ways to provide useful insights that will benefit your organisation to make sound, evidence-based decisions. Harvey Norman Marion is the flag ship Franchise in South Australia and an iconic Australian Retailer ,offering a massive range of appliances and home furnishings that caters for the whole home. Technology, Home Appliances Furniture and Bedding, we have a leading comprehensive range of world class brands to suit all tastes. If you are a business and need IT advice the Marion store has the Technology Commercial Franchise for SA meaning you may be eligible for commercial pricing. Community Discount: We will always look after students, families, teachers past and present with VIP pricing across the whole store. Established in 2016, Lendium is a leading mortgage and finance broking company servicing clients in the South Australia region. Our areas of experience include home loans, business loans, asset finance, first home finance, investment properties, refinancing and reverse mortgages. Lendium is the realisation of founder and operator Daniel Renella’s career ambition to own and run his own business. With long-term experience working with one of Australia’s major banks and in his family’s business, and a Bachelor’s Degree in Commerce, Daniel has the ideal foundations and hands-on experience to lead Lendium to success. At DeConno & Blanco Insurance Brokers we strive to provide our clients with the confidence and certainty to pursue their objectives. We have been providing insurance solutions since our doors opened in 1978, delivering timely, effective and insightful service to all our clients wherever they may be. Being family owned and operated we maintain a strong focus on personalised customer service, treating you more like a member of our family than a number. Adelaide Physiotherapy & Pilates Studio has been operating in SA for 10 years, in walking distance from the Junior School. We can help you obtain relief from a wide variety of conditions from back and neck pain, to sporting injuries and even incontinence. We can provide postural assessments for your children, and teach them simple ergonomic advice which will improve their posture for life. There are 5 highly experienced physiotherapists at the clinic, and we also provide on-site services such as manual handling training, ergonomic assessments and wellness talks. We will soon to be opening a Physiotherapist retail shop, the first of its kind in South Australia, to provide assistance with products from braces and supports to ergonomic furniture. Event Stylist and Wedding Planner. 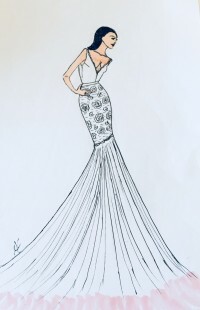 Luxury Event & Wedding Planner creating sophisticated & Savvy events to suit you and your style. Styling, co-ordinating, planning, sourcing businesses, setting up lolly bars/dessert buffets, flowers you name it BK Styling & Events can assist you in creating a magical event. Previously Co-Owner of Ribbon Whirls Boutique & Event Styling. Extensive experience in Event Planning, Styling & Managing medium to large Events. I have a great passion for styling and coordinating all types of events like Weddings, engagements, birthdays. kid parties, corporate functions and Christenings. BK provides services such as personalised stationery, wishing wells, guest sign in stations, styled buffets, bombonieres and more to create a truly amazing and cohesive event. Boutique Mon Ami has been a fashion destination for Adelaide women for over 40 years. Specialising in Formal Wear and Mother of Bride/Groom, plus the latest in fashion trends, we source the best in Australian and overseas fashion labels. Now with our huge new showroom at Glynde now open, make Boutique Mon Ami your fashion destination. When used as an adjunct to your training and nutrition program, supplements like protein, creatine, amino acids, vitamins and minerals, fish oils, pre-workouts, post-workouts, all can help a great deal in the process of achieving your muscle building goals. We live in an era where huge advancements have been made in nutritional sciences, and you would be well advised to take advantage of these advancements by including high-quality, research-driven supplements into your growth! Shoot us an email at norwood@supplementwarfare.com.au or come in store and one of our experts will help lay out a training, nutritional and supplement program to help you achieve YOUR goals. Community Offer: 10% off all purchases storewide for the Ignatian Community. Our Company provides quality industrial and commercial cleaning services and specialises in high end cleaning services to the retail and commercial properties. As a 100% owned Australian Company, we have over 20 years’ experience in the cleaning industry, and count many Medical Centres, Nursing Homes, Schools, Hotels, Child Care Centres, Shopping Centres, Aged Care Nursing Homes ,Builders Cleans, Factories and Retail outlets are among our customers. Lustra recognises that customers require ongoing peace of mind. Cleaning providers should consistently maintain a high quality service; This is why we developed our exclusive Consumer Protection Guarantee. We assure you that a service from our organisation is maintained with strict quality control measures, prompt responses and acceptable standards. Our protection guarantee gives you your money back if we do not comply with these expectations. A performance-based product is not all we offer. We have our own Carpet Cleaning and Window Cleaning divisions. Security screened, uniformed, well-groomed and trained staff are always pleased to go out of their way to ensure that your expectations are met. We create lasting relationships with our customers. Our cleaning strategies are designed and managed to shift the cleaning burden from you to us. A common theme for these relationships is the use of effective management strategies and best commercial business practices geared to deliver discernible benefits. Our state-of-the-art cleaning services, techniques, and processes provide our clients with the results they expect. Community Offer: Discounts apply * Will advise on submission of interest. Established in August 2002, by David Wright, Travel Prospects is a culmination of over 30 years Travel Industry experience spanning Adelaide and London. David’s personal and professional passion in sport, history and travel is exemplified through his personalised travel solutions and core repeat clients. Travel Prospects is a recipient of multiple High Achiever awards, and Messenger Small Business Awards. Battlelines is Travel Prospects’ dedicated department offering Military Tours of Distinction especially catering for the Australian history for enthusiasts. David’s keen interest direct family link to the battles of Villers Bretonneux both an Australian soldier and French war bride and extensive knowledge of world military history is the foundation for both a personal and professional passion to deliver distinctive military tours. David’s sporting knowledge and extensive relationships with tour operators, delivers tickets and tours often unattainable by other agencies. They have been dealing with World Cup packages since 1998 to present. For the 2006 World Cup, Travel Prospects – was the only Adelaide agent listed by the German National Tourist Office in Sydney and consequently the only Adelaide agent invited to the World Cup Services function’s. As well as with the Euro 2004 Austria/Switzerland and with an invite to ‘The Draw’ in Portugal 2000. In 2010 South Africa, Travel Prospects was one of two official Emirate Airlines Adelaide agents selected – to sell their official packages. Established over 30 years ago by brothers Enzo and Tony Ricci, Ricci Dental provides full family dental care in two locations close to St Ignatius’ College – Magill and Hope Valley. We offer a comprehensive range of services using current philosophies, materials and technologies, ranging from examinations and preventative dentistry to tooth whitening, implants and sedation dentistry. Our caring team ensure that the whole experience is as pleasant and comfortable as possible. At Ricci Dental, our philosophy is simple - to help you maintain beautiful teeth for a lifetime. Dressing Rock and Royalty. Clothing Size from 1 - 8yrs. A fusion between “Fairy Tale & Retro”. Looking for inspiration? The new award winning Italia Ceramics showroom is a must see when searching for the latest wall and floor tiles in ceramic, porcelain and stone for kitchens, bathrooms, living areas, outdoor spaces and swimming pools. As a proud SA family owned business we’ve been supplying tile and stone to the best builders, interior designers, architects and home renovators for over 40 years. Management Accounting Services – Specialising in Not for Profit and Indigenous Services. Compliance, Training, Bookkeeping, Indigenous Community Management Support. Full service accounting firm, specialising in assisting small to medium businesses. Assisting businesses realise the potential of modern accounting systems and practices to improve efficiency, reporting, invoicing, and payroll processing. Full service Self-Managed Superannuation offering. We are a family orientated practice with a long established reputation of providing gentle, pain-free dental care. The clinic is located close to the city, and there is free onsite car parking available. Dental Matters Torrensville uses state of the art equipment such as intra-oral cameras, computerised digital radiography (x-rays) and dental microscopes. We believe that taking the time to discuss dental procedures and treatment options will lead to a less stressful experience. By talking to you and discussing procedures step by step, we can offer the comfort that comes with knowing. It is our belief that each individual should feel that they have had their dental needs met in a caring and comprehensive manner. The Infant Boutique stock beautiful baby gifts and clothing as well as other practical items such as baby carriers, nursery decor, sleeping bags, swaddles, books, toys and games. Their brands include Aden + Anais, Attipas, ErgoPouch, Ergobaby , Lillebaby, Love to Dream, Skip Hop, Tiger Tribe, Toshi, Tula and much more! Triple A Financial Services is a family focus practice working with clients towards new and innovative ways to reach financial freedom. We understand life is busy and you don’t always get a chance sort out the important things that may impact your family…….. Like your finances. The core of our business understands what is important to you, with a key focus on planning for women. We specialise in personal and business Insurance, lifestyle and pre-retirement planning, debt and cash flow management. I work as a Nutritional Consultant and tailor programmes to suit individuals and families to help them make healthier lifestyle choices around nutrition and fitness. I utilise a range of exclusive patented nutritional supplements made from real food based ingredients to help fill the gap where often our diets fall short due to the reduced goodness of our foods nowadays. I specialise in children with special needs, fussy eaters, fat loss, skincare, people suffering from auto-immune disorders, stress, anxiety and depression and those who just want to get back their get up and go! 100% money back guarantee over 90 days. Blue Dog is the biggest online poster shop in Australia. If you're in Sydney, you can come into our shop and browse Australia's largest range of posters and prints! We're right around the corner from Newtown station. Or, if you are a retailer, we also wholesale posters, prints, frames and canvas wall art. A casual restaurant and wine bar serving delicious food ranging from snacks to full meals, Australian and international wines, cocktails, spirits and craft beers. Indoor and outdoor seating provide the perfect catch up space to meet friends and family. Open 5pm-11pm from Wednesday to Saturday and 2pm-11pm on Sundays. Adelaide Electric is a family owned electrical contracting business that is built upon the foundations of excellence in customer service and pride of workmanship. Yet we go that little bit further to bring about a refreshing experience in electrical trade services. At Adelaide Electric, our aim is to raise the bar when it comes to customer expectations, and we aim to do that by simply being reliable local electricians that provide excellent quality of work, and simply do a great job. Reliability, quality and pride shouldn’t just be a business advertising tool, it should be the business’ principles upon which it lives by, and that these should be an expectation of the business. Optometry on Osmond provides eye examinations, contact lenses, premium optical frames and sunglasses in a boutique showroom in Norwood. Our frame ranges are individually hand-picked for their quality and style, including exclusive European brands renowned for their high quality finishes, engineering & design. We offer a bespoke service to customise a frame to a wearer's features, ensuring a perfect fit. We spend the time during each eye examination to enable us to recommend tailored solutions to each patient's visual needs - from contact lenses for extra-curricular sports, reading glasses for parents or sunglasses for driving - we pride ourselves on attention to detail and ensuring a positive clinical and retail experience for our patients. Plateful, Catering by Carol is a business dedicated to providing wholesome homemade food. Everything is made by one person, Carol. All items on the menu are made with fresh, locally sourced ingredients and are made to order. This ensures that you receive the best quality food. We are a family owned business and have been operating since 1983. We pride ourselves in stocking hard to find items sourced locally and from all around the Globe. Some of our specialty items include pasta makers, wood fired pizza ovens, electric meat mincers and electric sauce making equipment. We also stock a lovely range of tableware including terracotta and coloured china imported from Portugal. Exelsuper offers a full-service Self Managed Superannuation package where we can do all the work for you. One of our dedicated SPAA accredited SMSF Specialist Advisors™ will personally be on hand to help you manage your SMSF. Our management team has extensive financial services and superannuation experience to deliver the highest level of technical & strategic superannuation advice and taxation services, giving you the confidence to manage your own superannuation. Our adviser team works hard to keep up to date with SMSF changes and legislation and has access to regular leading local and global investment market research and data. In addition our advisers are experts in general financial planning matters such as insurance, retirement advice, and general superannuation funds. Community Offer: First meeting complimentary, 10% off upfront advice fees. The Physio Clinic is a specialised clinic for the assessment and treatment of many common musculoskeletal conditions such as neck and back pain, and rehabilitation following orthopaedic surgery. The Physio Clinic has three specialised clinics all with highly trained Physiotherapists who will provide a detailed assessment of your injury and management plan tailored to your condition and goals so you can get back to work, sport and life faster. With large private treatment rooms, onsite child minding and an onsite gym and pilates studio at 2 of their locations, The Physio Clinic provides personalised care and the convenience of early, late and weekend appointment times. For more information about the services they provide such as Pilates, Gym, Hydrotherapy and Massage please visit their website or call them today to talk to one of their friendly reception staff. Established in 2014, Cycology Lab is a high-tech mobile laboratory specialising in metabolic testing and health & fitness analysis. Some of the tests we offer include VO2max (gold standard in fitness analysis), lactate threshold analysis, haematocrit & haemoglobin measurement, and power analysis. Our aim is to provide a high quality metabolic testing service using state-of-the-art technology to assist our clients in achieving optimum health and fitness goals. Please make sure to like our facebook page to view our competitions and receive great discounts on our services. 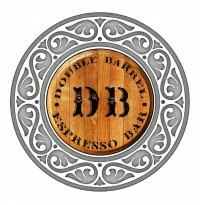 Double Barrel Espresso Bar is a coffee haven for the corporate world servicing Santos staff and the general public located in the foyer on 60 Flinders Street, Adelaide. With a Wine Bar atmosphere the coffee/lunch bar facilitates a menu from breakfast wraps and coffee to in-house fresh salads and wholesome lunch items. Service is the key and we pride ourselves on repeat customers and a playful coffee experience. Urban Commercial Property Group is a multi-faceted company focussed on the Sales, Leasing and Management of Commercial Property. "We are happy to offer a free sales/rental/management appraisal and consultancy meeting to any member of the Ignatian Community. We are also happy to offer a 10% discount off our normal rates for any engagement."